Okay, the title is a bit of a hyperbole. I certainly can LIVE without tech… sort of. Being a pastor becomes a little different every year. It seems there are fewer and fewer pastors and more and more people with new and different expectations. There is also a new challenge of finding ways to reach people, not just people who have yet to meet Jesus but also lifelong Christians who need help cutting through the clutter of their own lives to focus on the true source of life, God. I try to be a good steward of the time and talents that God has given me. To me, I find a tension between trying to be productive and effective and trying to be present. Practically, this looks like using my time as efficiently as possible so that, when it is time to just simply be present to people, I have the time. I believe that good planning makes it more possible to leave the plans behind and be present and available or simply follow the movement of the Spirit. Here is some of my stuff. Doit.im – I have used many different methods of keep track of “todo” lists throughout my life. The most effective one for me was the index card system modeled after David Allen’s process in Getting Things Done. It worked remarkably well for me, with one problem. One plain old index cards, there is no backup. And sometimes I lost things. This cross-platform to-do list app lives in the cloud and appears on my Macbook, my Android phone, my iPad and, in a pinch on any computer I can find connected to the internet. Doit.im has all the features that work for me, but there are a ton of different apps out there for every taste. 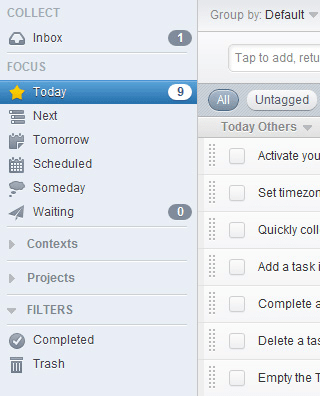 Basecamp – I love “todo” lists but I am not the only one with stuff to do. As I oversee a number of ministry areas in the church and these areas are often involved in projects that overlap, sometimes we all need to see each other’s lists. Enter project management software. There is some great project management software out there, but we need something that is easy to use and has a shallow learning curve. This is Basecamp. 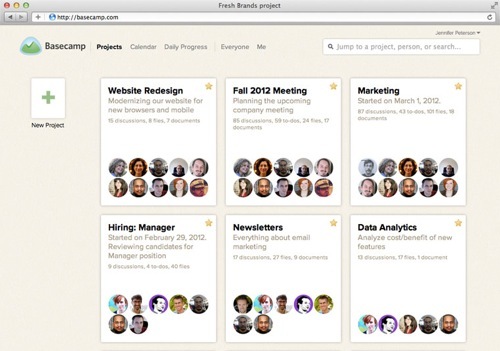 Basecamp helps us manage projects at the church. We can make sure our clergy, our directors, our video people, our graphic artist, our communications department, our facilities folks, anyone involved know what is going on, what needs to be done and what the timeline is. Again, it all lives in the cloud. Anyone who is on a project can log on from anywhere to check the status of the project. 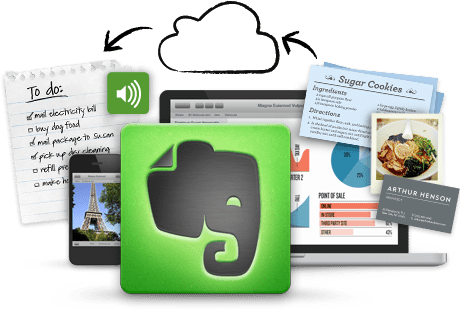 Evernote – Between emails, regular mail, written memos, meeting notes, sermon research, forms, lists and other misc. stuff, I end up with a lot of stuff to keep track of. It would be awesome if it could all be in one place and I could search, not just titles, but whole documents – even hand-written notes. 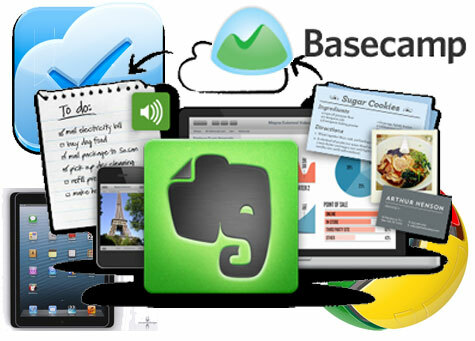 That is what Evernote is all about. Everything lives in the cloud – again meaning it is pretty hard for me to lose it. It even holds photos and audio. Absolutely amazing! 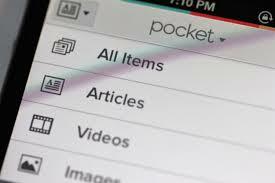 Pocket – When you are surfing the web and you see something interesting but don’t have time to read it or you read it by you think you might want to reference it later, what do you do? You could bookmark it, which is fine, except that my bookmarks end up being such a mess that I can’t find anything anyway. You could email it to yourself, and have yet another email to deal with. Or, you could put it in your pocket. Pocket (formerly Read it Later) is another cloud based service that lets you save stuff you find on the web. Once you save it to your pocket, it syncs with all you devices so you can read it later on your phone, laptop, iPad, wherever. Believe it or not, that is just some of the stuff I can’t “live without.” More later.